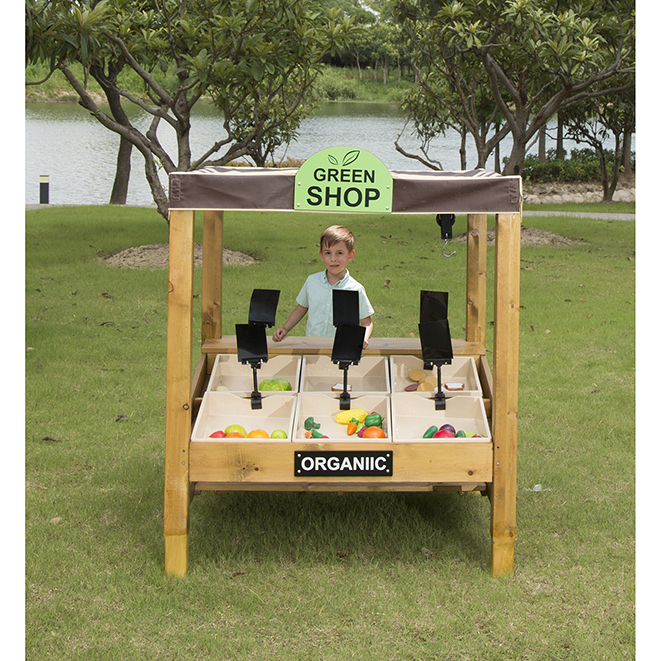 Time to go shopping with our open ended multi-functional market stall – fill your stall with fruit and veg or any other items that your children may want to sell from their shop. Supplied complete with 6 trays. A unique feature of this unit is the addition of large plastic feet to provide additional protection from rot and decay – therefore significantly increasing longevity for this unit. 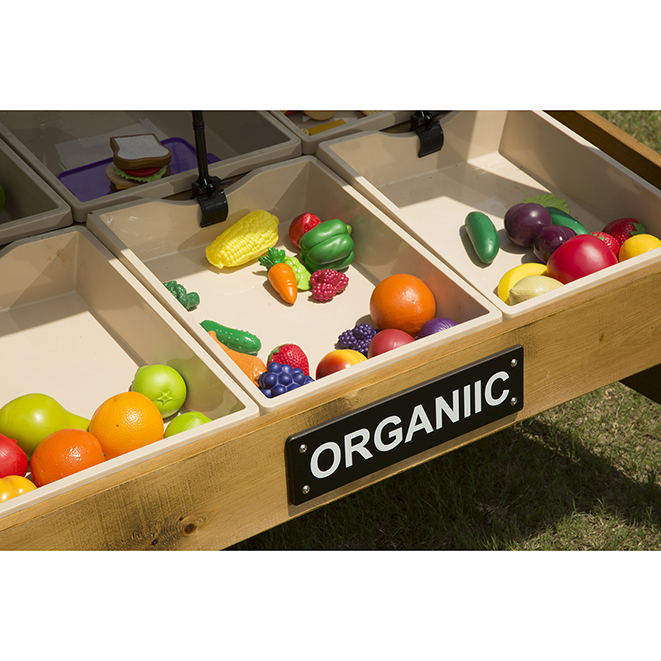 Plastic fruit and veg not included.